Paddle pop has always tried to engage the kids with its colorful adventures and fun stories. Spiking imagination with their rich content, the brand is continuously involved in providing the children an alternate world in which they can be whoever they want to be. The overactive minds of the children make up great adventures which they like to play and act out with their friends. These games form the basis of their development. They learn many valuable things such as cognitive thinking and problem solving. In a bid to make things more exciting, Paddle Pop partnered with Kinetic Pakistan, the largest outdoor Media Agency in the country. They set up game arenas in the malls of some cities and invited kids to try their hand at it. The game units deploy chrome cast technology that uses HD interactive visuals and crystal clear sound. This makes the gaming experience memorable for kids. 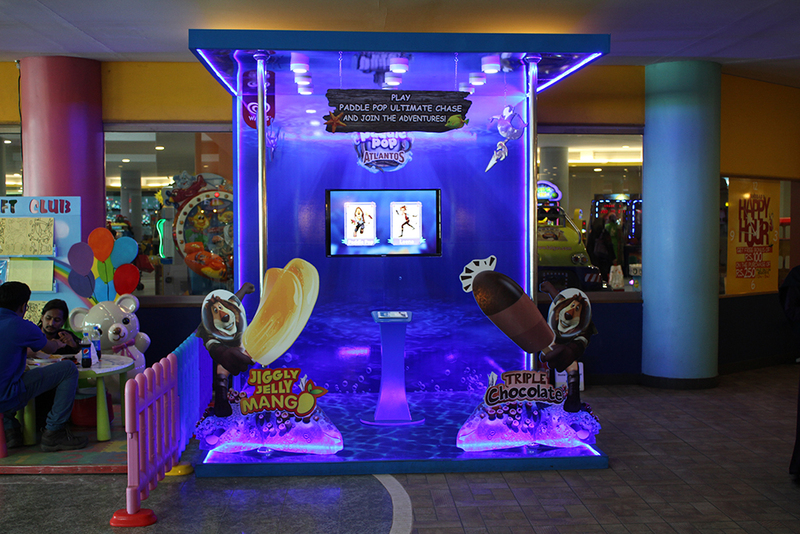 The game Atlantos features Paddle Pop and his side kick Leena in various scenarios prompting kids to help them complete a mission. This not only built their interest in the game, they also became familiar with the brand. 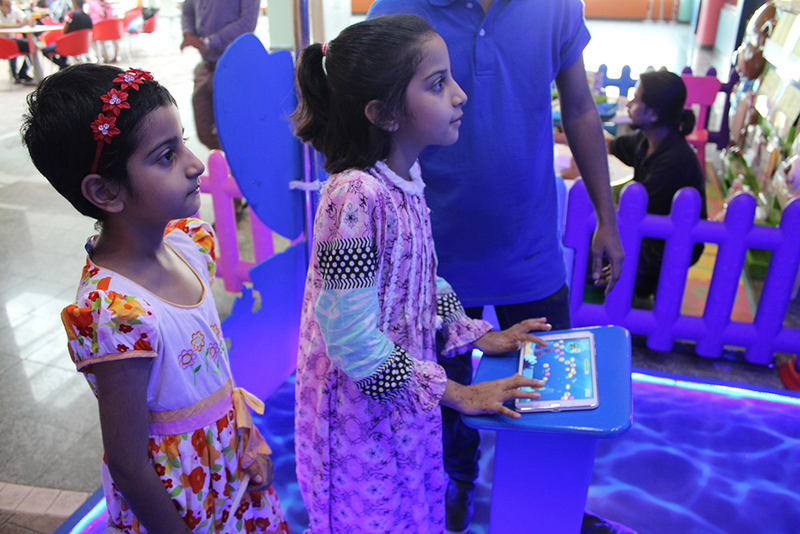 The activity was conducted for 2 to 4 months in the malls of cities like Karachi, Lahore and Faisalabad. The interesting thing about this campaign was it execution. Apart from the usual advertising and getting the attention of their target audience, the brand went out and did something more. Inviting the kids to play the game and be a part of the experience, the brand not only managed to attract their interest, it also registered itself within their minds. So now every time if they see any advertising done by Paddle Pop, they will think of this positively. 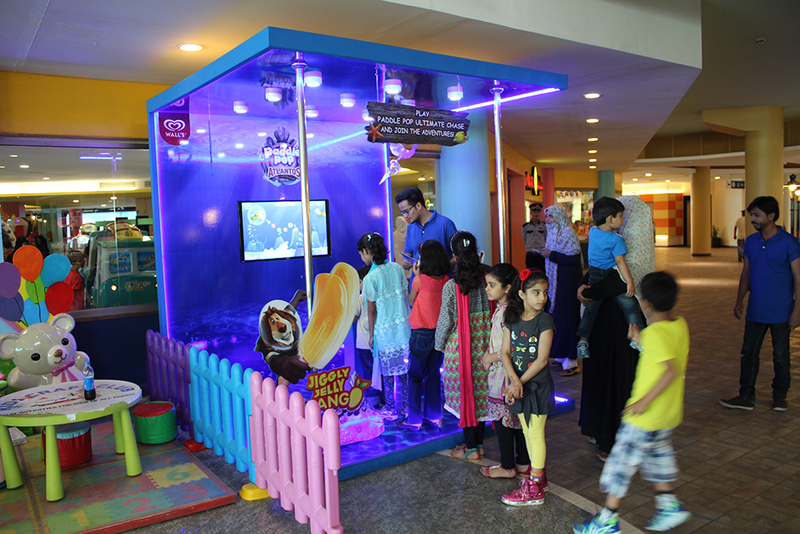 In just a span of three months nearly 12,500 kids have participated in this experimental OOH, making it highly successful.